El Segundo Brewing throws a release party Friday in its downtown tasting room for its first two bottled beers, White Dog IPA and the new Standard Crude Imperial Stout. “White Dog was our best seller last year,” said Tom Kelley, who along with founder, proprietor and brewer Rob Croxall is one of the two driving forces behind the rapidly growing brewery. As for the stout — a seasonal beer that follows in the wake of its 7.5 percent ABV Hyperion Stout, (you’ve got to admire a brewer brave enough to name a beer after a nearby sewage treatment plant) — the 10.2 percent ABV monster was ready to drink for the holidays, but the labels weren’t quite finished. Bottling is always a big capital investment for a small brewery like El Segundo, which doubled its initial 60 barrel fermentation capacity last June and plans to double it again come March, but in this case a mobile bottler came to the brewery and three hours and 150 cases later Croxall and Kelley were ready to go. 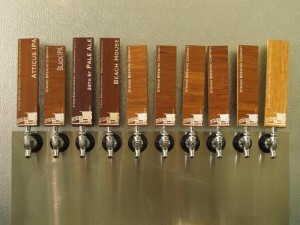 The plan is to eventually bottle their entire lineup of beers for sale at the brewery and offsite. The White Dog IPA is a representative Southern California microbrew of the genre with the by now familiar citrus notes up front and center. However, they use 50 percent wheat in the malt bill — most IPA’s use no wheat, observed Kelley, a certified cicerone (the equivalent of a wine sommelier) — which is more akin to a white beer or hefeweizen, but without the yeast-driven flavor (must be those Nelson Sauvin hops from New Zealand). The Standard Crude has deep undertones of blackberry and tobacco, but unlike many beers should age well if left for a few years, Kelley said. The release party begins at 5 p.m. with a special cask of Rum-soaked and Oaked Hyperion Double Stout to be tapped, too. Savory meat and veggie pies from El Segundo Catering Co. are also available. The Select Beer Store in Redondo Beach hosts a release party from noon to 3 p.m. Sunday ahead of the Super Bowl with others to follow Feb. 7 at the huge Whole Foods Plaza El Segundo (which has a new 30 tap system in its tasting room), Sunset Beer Co. Feb. 8 and Wally’s Wine and Spirits Feb. 23. For more on the brewery, check out this story that appeared around this time last year in the Daily Breeze. 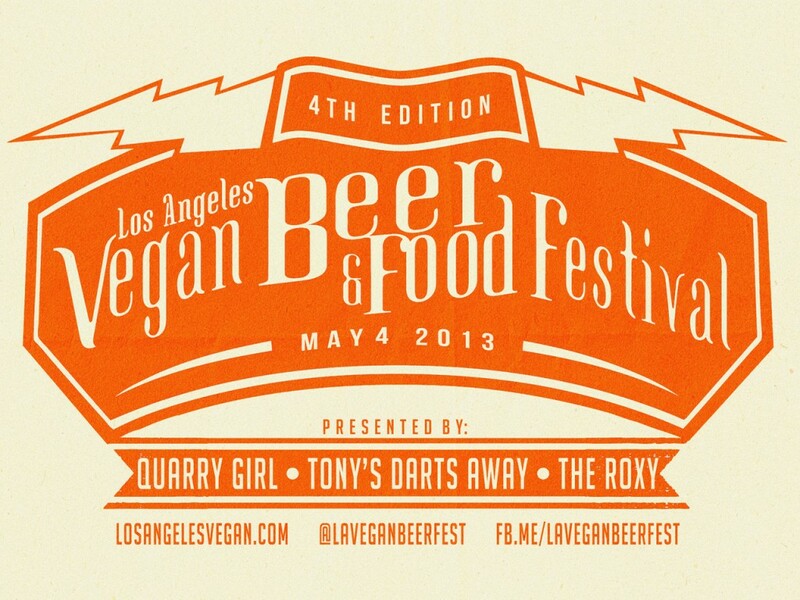 Tickets are now on sale for the fourth installment of the LA Vegan Beer and Food Fest and, according to QuarryGirl, you better act quick because the event will sell out. The May 4th event will be held at the Roxy, which is organizing the event alongside Tony’s Darts Away and food blogger QuarryGirl. Tickets include unlimited craft beer. There will also be vegan eateries and food trucks vendors on site. General admission is from 1-5 p.m. while VIP gains you earlier entrance access starting at noon. Visit the fest site for ticket information. Beer and books may not be a pairing that immediately comes to mind. But it will tonight as Christina Perozzi and Hallie Beaune, better known as the Beer Chicks, will be at Glendale’s Central Library to discuss their latest book. The duo will be also be signing copies of their second book, “The Naked Pint: An Unadulterated Guide to Craft Beer,” which has been a top seller on Amazon.com. The book offers tips on homebrewing and includes seasonal recipes. If you haven’t heard about the Beer Chicks before they developed quite a following for their knowledge in craft beer and are considered the best female beer specialists in the country. Tonight’s event begins at 7 p.m.
Visit Glendale Library for more information. 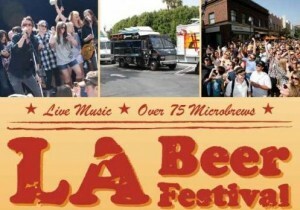 First up at 7:30 tonight is a five-course, five-beer dinner at Diablo Taco in Silver Lake. (I’d be curious to know how the biting Bagheera East IPA pairs with Angus beef cheek). As of 1:30 p.m. today the dinner was not yet sold out. Next up at 6 p.m. Thursday is an Anniversary Pint Night at venerable Naja’s on the Redondo Beach Pier, which was the first place to ever pour a Strand-produced beer. Brewery co-owners Rich Marcello and Joel Elliott will be on hand to discuss their beers, which for this night only includes a special cask of dry hopped Atticus IPA. The brewery’s entire lineup will also be offered including the 24th Street Pale Ale, Beach House Amber, Black IPA, Black Sand Double IPA (a personal favorite) and the ultra spicy Bagheera East IPA. Be one of the first 50 tipplers on hand and you get to keep the Strand logo glass. 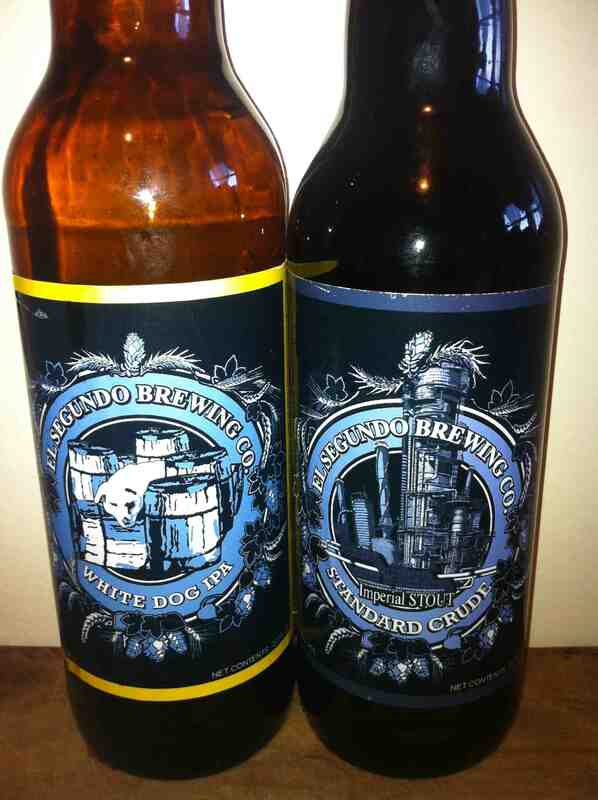 Want to know more about Strand Brewing? Check out a story I wrote last year for the (Torrance) Daily Breeze. Smog City Brewing is installing its brewing equipment at its new Torrance location beginning Friday, but the day after already plans a tap takeover at the Beer Belly Tavern in Koreatown (they brew elsewhere for now). 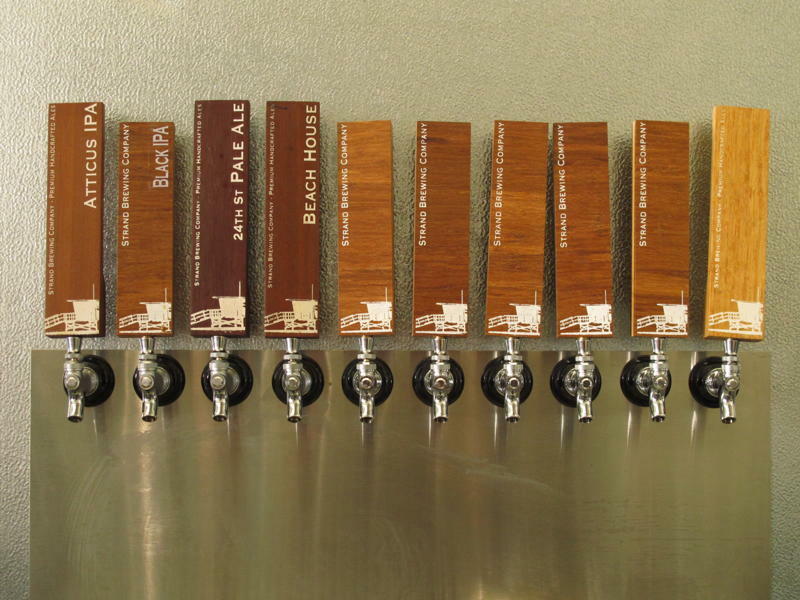 The tavern will serve a dozen beers from the brewery including a new (well, OK, it has aged in bourbon barrels for the last two years) English barleywine. Full event details and beer list here. Incidentally, Smog City will open in the next month or two in a 5,500-square-foot industrial space around the corner from Monkish Brewing Company, which opened its Torrance tasting room last March at Western Avenue and Del Amo Boulevard. Smog City will become the third brewery to open in Torrance in recent years following in the wake of the Strand Brewing Co.
For this inaugural post to the Beer Goggles blog, let me first say welcome, thank you, and cheers. To help Los Angeles better understand the universe of beer that has foamed up all over our great metropolis, the Los Angeles News Group has asked some of its top writers to focus on the city’s booming beer culture. Over the coming weeks, months, and years, we plan to highlight the most interesting LA beers, breweries, beer bars, beer menus, beer events, beer clubs, beer bargains, beer websites, beer gadgets, and beer people. With the world famous diversity LA possesses, our beer spotlight will take us across cultures, from complex American craft beers in Eagle Rock to exotic malty Indian beers in Cerritos, from rowdy beachside beer halls in Redondo Beach to upscale beer tastings in Pasadena, from Oktoberfest in Torrance to beer festivals in Hollywood, and from beers sold at Zagat rated restaurants in Santa Monica to beers sold at little known blue collar mainstays in Long Beach. Beer brings people together. It unleashes our inner “I love you man” tendencies. It quenches our thirst, brings happiness by the ounce, and makes life’s special moments as well as its routines a little more interesting. We’ll talk to restaurant owners, home brewers, event planners, beer people, and many interesting components of the growing LA beer world. As for me, by day and most nights and weekends, I’m the President and Managing Editor of ProCon.org, a nonprofit public charity that researches the pros and cons of controversial issues. I’ve become a beer hobbyist over the years, traveling across the city, state, country and around the world to experience great beer. You’ll meet the rest of us over the coming weeks and months. If you have suggestions for what this blog should cover, please email southbaybeergoggles@gmail.com and let us know.